SAT Prep Courses Toronto – About the SAT! Welcome SAT Information Toronto – SAT Test Prep Central! 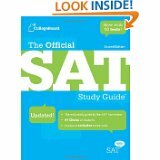 Whether you just want to register for the SAT, discover SAT test dates and locations, try a free SAT Practice Test, find the best SAT prep books, hire an SAT tutor, find an SAT preparation course, find free SAT preparation aids, or even watch some SAT prep videos you have come to the right place. If you are an institution or small group we can also offer you a custom designed SAT preparation course. Private Toronto SAT tutoring and Toronto ACT tutoring are also available. Those applying to Ontario independent and private schools may be required to take the SSAT. Toronto SSAT tutoring is available. We are based in Toronto, Canada and have been in the business of preparing students for standardized tests since 1979. We offer two course formats. The first is our week long “24 hour” SAT Preparation Course (offered in the summer). The second is our “One Weekend Intensive SAT Prep Course” (offered during the school year). Your Teacher – – Put 30 years of math teaching and test prep experience to work for you! What university are you applying to? An important reminder! Registration in our Toronto SAT Preparation Course does not register you for the SAT. Information and instructions for how to register for the SAT Reasoning Test are here. Okay, now for a bit of fun! Check out the trailer to the movie “The Perfect Score“. It’s about a group of high school kids, looking to do anything (well almost) to get that perfect SAT test score. This entry was posted in SAT preparation, U.S. college admissions and tagged free SAT prep, SAT, SAT Canada, SAT classes Toronto, SAT courses Canada, SAT math, SAT prep, SAT prep courses Toronto, SAT reading, SAT reasoning test, SAT Toronto, SAT tutoring, SAT writing on March 17, 2015 by admin. Check out the comments on this article. This entry was posted in Uncategorized and tagged SAT, SAT Canada, SAT courses, SAT math, SAT reading, SAT scores, SAT Toronto, SAT writing on October 8, 2009 by admin. Life Prep – A Career of a Life?